The Full Moon in Virgo on February 22, 2016, asks us to concentrate our feelings only on what's important. 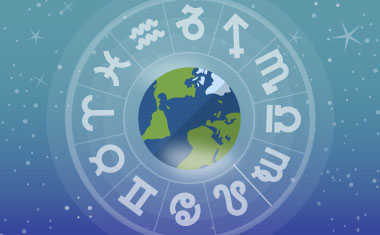 During this lunation the Sun is in Pisces, diffusing our thoughts and actions before they have the desired impact. This can be dangerous if we apathetically resign ourselves to being satisfied by our fantasies. However, the Full Moon in Virgo holds the keys to the kingdom; we have the power to create the future if we're willing to narrow our focus. Cut out the noise and find clarity at this Full Moon with a Celtic Cross Tarot Reading. Your intuition might not be in tune with your world, so you shouldn't rely solely on your instincts. Chances are good that you're blowing your fantasies out of proportion and confusing the results with reality. However, getting closer to the truth empowers you to make important changes in your daily regimen while the Virgo Full Moon illuminates your 6th House of Health and Diet. It's not necessary to bite off more than you can chew; lasting success is achieved by taking small steps again and again until you reach your goal. Your energy could be overcommitted as your firm resolve makes it tough to say no to an important project. Although you usually aren't one to take on more than you can deliver, your judgment is a bit warped. Even if you long to make something spectacular happen, the meticulous Virgo Full Moon sheds light on your 5th House of Self-Expression, reminding you to pay attention to the details when it comes to matters of the heart. Paring back your social calendar for a while helps you stay on track with the ones you love. Unavoidable tensions may be stirred up at home, distracting you from commitments at work. If you're overwhelmed with too much information, you might try to escape into your vivid imagination. Thankfully, you can demonstrate your cleverness and put your stress to good use. The Virgo Full Moon occupies your 4th House of Security, motivating you to build a solid emotional foundation by analyzing all the facts. Turn down the noise in your environment so you have the mind space to make an intelligent decision about where you go from here. Your emotions may be lifting off into the boundless blue sky because it seems like there are no walls to constrain you. 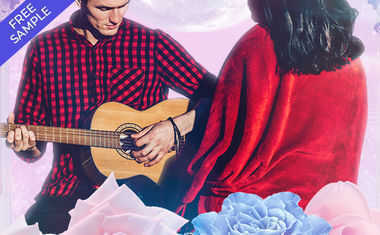 Thankfully, you have a heartfelt connection with the Moon and can't help but be influenced by the earthy Virgo Full Moon's presence in your 3rd House of Communication. Nevertheless, don't try to rationalize your feelings; just let them flow while you float in the clouds. You can always pull back into your comfort zone later on when you need to touch your feet back on the ground. You are eager to contribute toward making a project a rip-roaring success by doing your part. However, behind the beautiful scene something isn't quite as perfect as it seems while the critical Virgo Full Moon shines in your 2nd House of Values. It feels as if the simple truth keeps slipping out of your grasp just as you get close to finding it. Unfortunately, you could make matters worse by believing that you already know the solution to your problem. Believe it or not, your way is not the only way; time will tell which path is the best. Your emotions continue to build, and it's time to acknowledge the joy that's in your heart, even if it runs counter to your rational thoughts. Although you might know what makes practical sense in a relationship, your desires won't go away until they are acknowledged while the Virgo Full Moon highlights your 1st House of Self. You might prefer the safety of intellectual control, but moving out of your head can be quite liberating. Choose happiness over caution and you won't be sorry. Your thoughts may be running wild, but it's crucial to remain positive, especially if you haven't reached your destination yet. 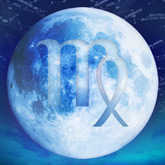 However, your emotions are stretched as far as they can go with the Virgo Full Moon intoxicating your 12th House of Fantasy. Nevertheless, there are no payoffs in being overly self-critical when the clock is ticking. Instead of dwelling on past performances, set your sites on a new round of goals and give it your very best. There may be no better time to reassess your social status and reconsider what you want out of your relationships while the rational Virgo Full Moon spotlights your 11th House of Friends. You have reached a new level of awareness about your current situation and might realize you're not on the trajectory you want. Somehow, you've been sidetracked, but your fresh perspective about a creative project can also help you understand how to make things work more efficiently in other aspects of your life. You're experiencing a wide gamut of feelings as you review your overall goals for the next couple of weeks. The Virgo Full Moon highlights your 10th House of Career, lifting your spirits into outer dimensions so you can see the potential for nearly anything. Although the view is exhilarating and frightening all at the same time, don't try to make any major changes yet. Your best strategy is to make many tiny adjustments until the current turbulence settles down. Although you may fail to reach your goal, the real news is about the doors of opportunity that continue to swing open. You still might reap the rewards of your recent work sooner than you expect because the industrious Virgo Full Moon lands in your 9th House of Future Vision, encouraging you to release your fears and reach for your dreams. But don't get too lost in the details of a bargain; focus on the big picture and keep inching forward on the path of least resistance. You might feel as if you're emotionally in over your head. Your current struggles stem from the intense energy of the service-oriented Virgo Full Moon rattling your 8th House of Intimacy. Thankfully, your clever resourcefulness helps you maintain enough balance to keep your ship afloat, even in an untenable situation. Relationship dynamics will grow more manageable as the reflective Moon wanes over the next few days. Soon you'll be looking back at an amazing experience from the calmer waters ahead. Don't just survive when you can thrive. You are in full-on communication mode, even if the right words seem to escape you in front of an audience. This Virgo Full Moon lights up your 7th House of Partners, encouraging you to make meaningful connections. But people might surprise you by showering you with harsh criticism. Don't overcompensate by talking up a storm once you catch someone's attention. Tread carefully because others may need more emotional support than you can offer. Establishing clear boundaries enables you to maintain healthier relationships in the future.